The Cuban Missile Crisis is one of the landmark events discussed in nearly every course covering the Cold War. To The Brink is an excellent free iPad app through which students can learn about the causes of the Cuban Missile Crisis and the Kennedy administration’s handling of the crisis. The app uses archival images, videos, documents, and audio recordings to tell the story of the Cuban Missile Crisis. The app is arranged as a series of pages for students to flip through. On each page there are icons that students can tap to get more information in the forms of documents, images, and videos. To The Brink offers more detail and media about the Cuban Missile Crisis than I’ve ever seen in a middle school or high school history textbook (print or digital). As a free app it is a resource that I highly recommend to middle school and high school history teachers. TimeMaps recently released a new iPad app all about the Black Death. The Black Death for iPad is a simple app that provides a timeline and map of important places and events contributing to the pandemic. Students can tap the placemarks on the app’s map to read about the significance of each place and event. There are three layers of information available on the map; place names, trade routes, and dates. The Black Death for iPad includes four learning challenges. The challenges are basically a series of questions that students answer by using the information available on the maps and timeline in the app. The Black Death for iPad is currently priced at $2.99. At that price, I think it’s a little overpriced. If it drops in price I would definitely grab it for use in a world history class. Pass the Past is a free iPad app designed to help students review U.S. and World History. The app was built for students in Virginia, but it can be used by any student reviewing for a test on U.S. or World history. Pass the Past offers a large selection of multiple choice quizzes. Each quiz contains 25 questions that include visual prompts. There is a hint button that students can tap if they get stuck on a question. After completing each quiz, students can see their scores and see the correct answers to each question. Pass the Past isn’t the fanciest app that you’ll find in the App Store, but as a simple test prep app it’s useful. 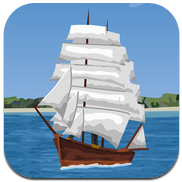 European Exploration: The Age of Discovery is a free iPad app that puts students in charge of exploring the “New World.” In the game students are in charge of selecting explorers and ships to send out to the New World. Students have to manage the finances of their expeditions so that they don’t run out of money before they can return home safely. 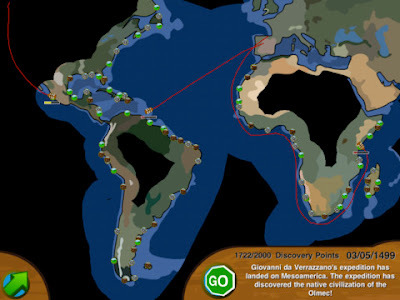 European Exploration: The Age of Discovery provides students with historical information about the explorers that are available to lead expeditions. Some of the explorers available include Giovanni da Verrazano, Christopher Columbus, and Juan Ponce de Leon. 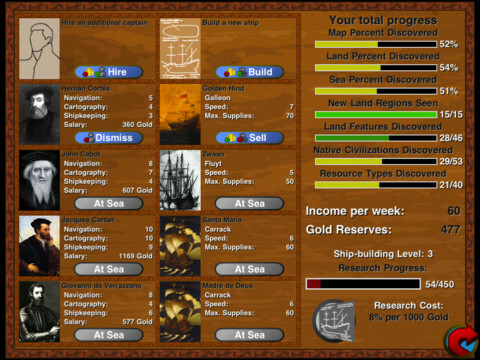 The explorers are graded based on their navigation, cartography, and shipkeeping skills. Each explorer has a different salary which students must account for when managing the budgets of their expeditions. The object of the game is to unveil the entire New World. To do this students draw expedition maps and send out their explorers. If the expedition is successful it will earn money that students can then parlay into financing another expedition. Successful managers of European Exploration: The Age of Discovery will be able to manage multiple expeditions simultaneously.